Any wine geeks out there? We recently spent the afternoon with Rachel Williams, a great great great grand-daughter of Ira Couch, of “Couch Tomb” fame. 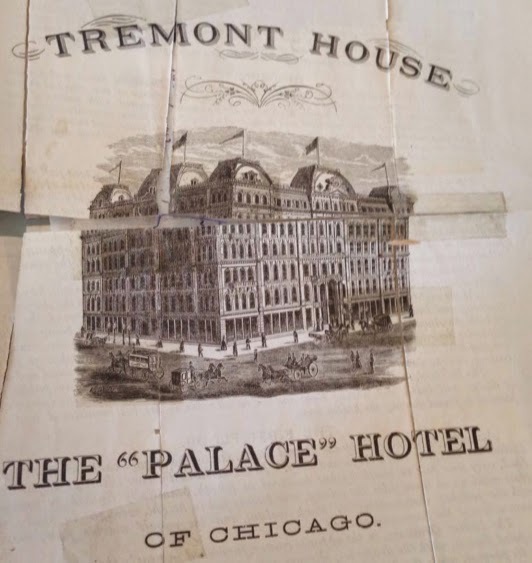 Mr. Couch and his brother ran the Tremont House hotel at Dearborn and Lake, and among her papers was the fantastic hand-written list of the wine stock at the hotel in 1879. This would have been the post-fire version, which Ira never would have seen. I’m not enough of a wine person to know how to read this, really, or know what the numbers mean, but it’s NEAT. We’ll have a podcast of us geeking out over Ms. Williams’ pile of papers (some of which relate to the tomb) very soon! 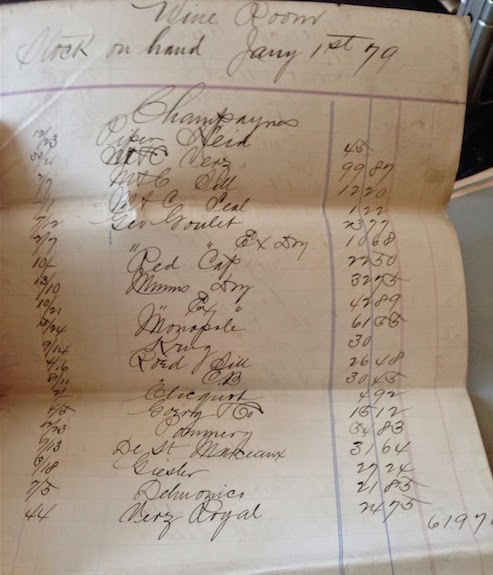 Help on understanding what the number all mean (and if there are any particularly famous/valuable wines on list) would be much appreciated! 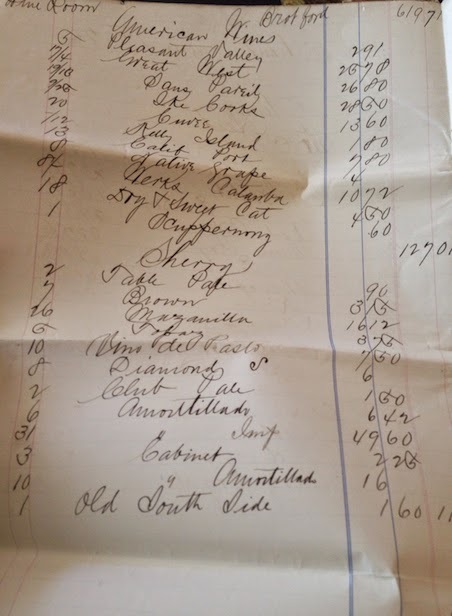 I'm not a wine connoisseur either, but to me, it looks like a standard inventory list. For instance, I look at the line for "Krug". I'm thinking the first numbers, 9/14, are how many they have in the wine cellar and how many they are supposed to have. They have 9 bottles and they should have 14. Better add 5 to the shopping list. Then, the 30 after the name is the cost of those 9 bottles. This would be for insurance purposes if something should happen to the stock. This is fascinating. It's too bad more information on the various wines isn't on the list. I'm curious about who was the vintner. It would be interesting to find out if some of those bottlers are still in business.